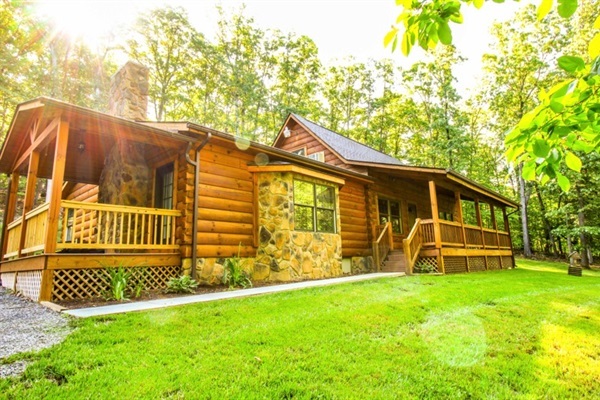 Chadwick is a 6 bedroom, 3 bathroom log cabin with coziness and charm. The main floor features four bedrooms, two bathrooms, a great room, dining room, kitchen and two porches. The second level has two bedrooms and one bathroom. Outside you will enjoy a fire pit and a picnic gazebo with a seven person hot tub.